Think you’ve got what it takes? See if you can go five rounds with these tough sessions designed by Strout. If you don’t know your jab from your cross, or haven’t a clue how to even stand properly, start here. 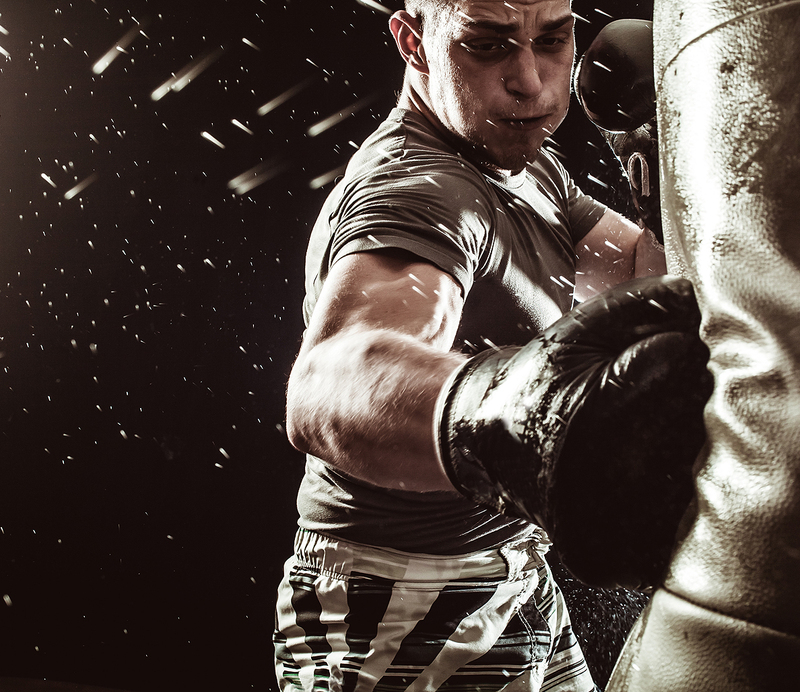 The boxing stance is crucial to your success—it sets you up to both throw and dodge punches, and puts you in the best position to take a punch should your opponent land one. If you’re right-handed, your left leg will be in front, so your more powerful arm is further back to maximize the force it can generate. “Southpaw” or lefty stance is the opposite. Now, onto the punches. 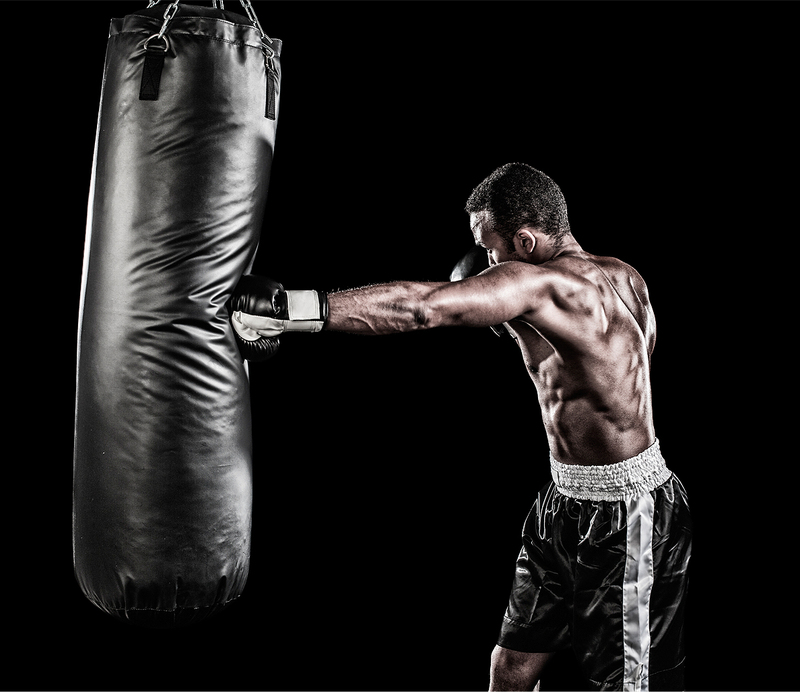 The three basic ones are the jab, the cross, and the hook. Jab: This is the lead hand punch thrown straight ahead with your nondominant hand. It’s not a power punch but instead is used to set up other punches. “When in your boxing stance, it’s the closest hand to your opponent so you will use it the most,” says Strout. Need an example? Boxers with a good jab include Larry Holmes, Ike Quartey, Muhammad Ali, and Gennady Golovkin. Cue up YouTube and start studying. Cross: The cross is thrown with the rear, dominant hand, which is farthest away from your target. It’s also thrown straight but much more powerfully, using your legs and torso to generate force. You rarely lead with the cross unless you’re countering an opponent’s punch. Boxers with a good cross include Thomas Hearns, Sergey Kovalev, Deontay Wilder, and Manny Pacquiao. Hook: These can be done with either hand, but you should focus more on the hook done with the lead (nondominant) hand (hooks done with the other hand can leave you more vulnerable). Unlike the others, this isn’t a straight punch: Its aim is to come at your target from the side, using your hips and legs for power. “The hook travels out from your shoulder and turns in toward your target halfway through the punch,” Strout explains. “Don’t let your elbow travel out wider than your shoulder, nice and compact, and return it the same way you throw it.” Boxers with good hooks include Joe Frazier, Felix Trinidad, Oscar de la Hoya, and Mike Tyson. 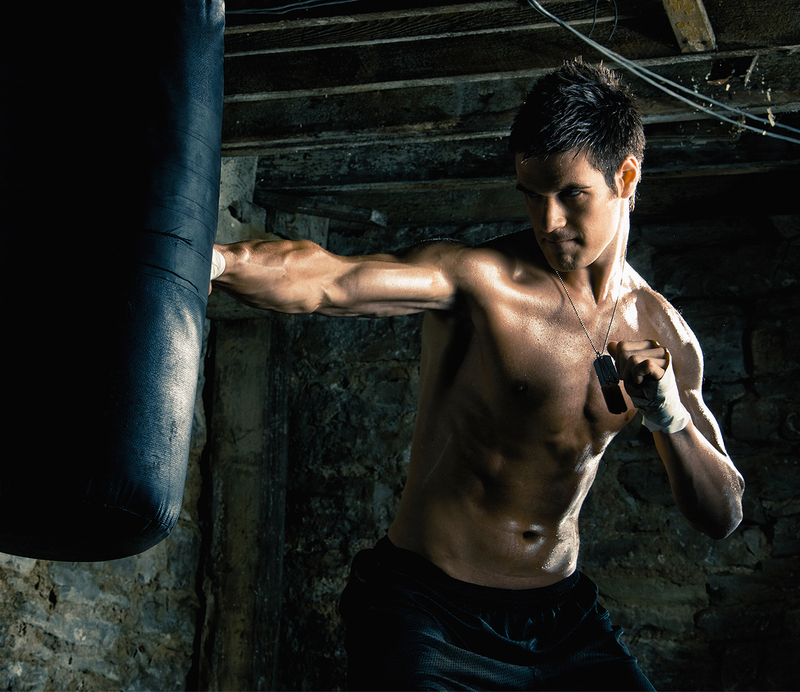 2 minutes side steps: Start In your boxing stance, take 10 quick steps to the left, then 10 steps right, side to side. When moving to the right, push off the left foot, and when moving left, push off the right foot. 2 minutes forward and back steps: In boxing stance, take 10 quick steps forward and 10 steps back, back and forth. When moving forward, push off back foot, and when moving backwards, push off front foot. 2 minutes box steps: In boxing stance, move 6 steps forward, 6 steps right, 6 steps back, 6 steps left. Switch direction after four squares. Focus on pushing off the correct leg. 2 minutes circle drill B: Using the same center point, face away from it, keeping your back to it the whole time. Start in your stance and complete full circles in each direction. “This trains you on stalking a moving opponent,” says Strout. Round 6: non-stop punching at 60% of full power. Focus on rotation of the body and using the legs. Did Sylvester Stallone Announce He's Done Playing Rocky?